SPEND THE SUMMER LEARNING AND WRESTLING WITH THE DRAGONS! 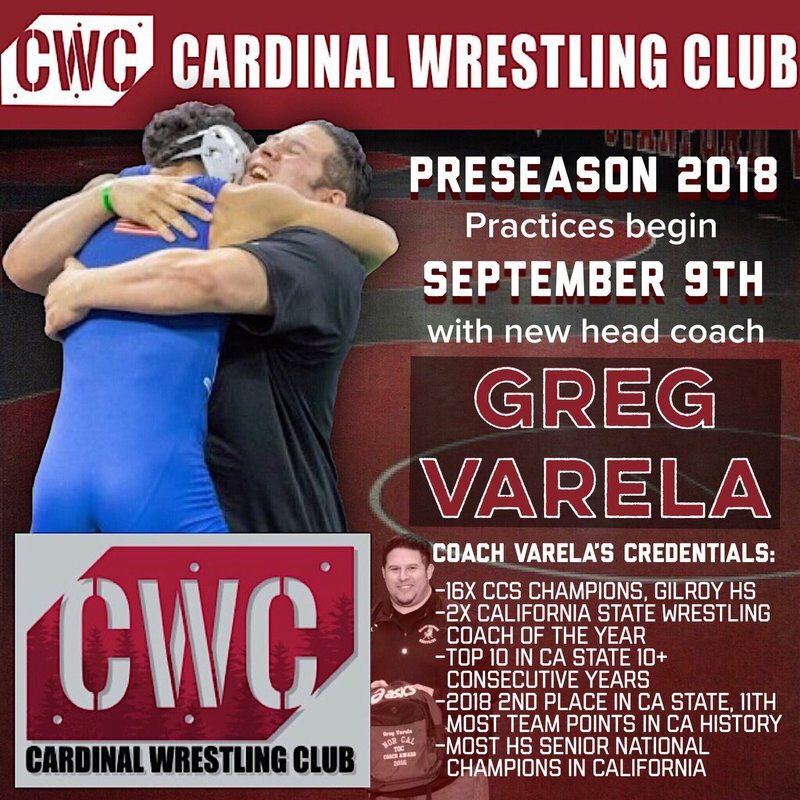 *Starting Sunday, September 9, 2018 Coach Varela will be coaching the Cardinal Wrestling Club Preseason Practices Wednesday (6-7:30pm) and Sundays (1-3pm regular practice. 3:30-5:30pm live matches, everyone invited). At BADWC, self-discipline is the quality of self-denial in pursuit of a longer-term goal. It is the strength of your willpower to maintain that denial in the face of inevitable obstacles, temptations, and distractions. At BADWC, leadership is not about a title or a designation. It is about your impact, influence and inspiration. Impact involves getting results, influence is about spreading the passion you have for your work, and inspiring your teammates. At BADWC, accountability means personal responsibility. It means you do what you say when you say you are going to do it, and you take responsibility for the outcome. You don’t blame others. You don’t blame circumstances.